I'm obsessed with home decor and entertaining. That probably doesn't come as a surprise to many of you, but one of my favorite things is decorating my living space and entertaining. It has been challenging over the years to really feel like I'm putting my stamp on where I live. Mostly because I've lived with others who have very different styles. Nothing wrong with that, but I didn't want to really spend the money till I had a place to call my own. Now that I do, I'm in a home decor frenzy. I want everything. I love shopping online, reading magazines, pinning ideas and watching enough HGTV to make my eyes fall out. Since I now have my own (yes all MINE) apartment, I have been itching to make it scream KRISTYN! My style is very much Southern, but with a twist. 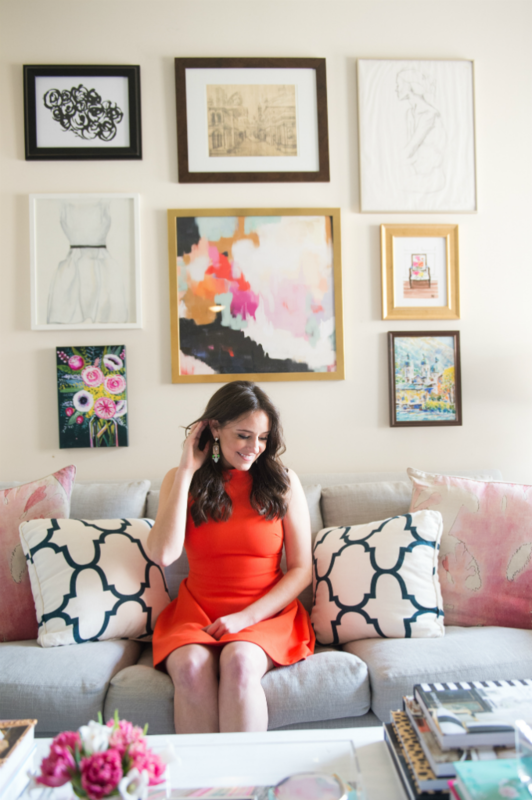 I love bold colors, gold accents, and vibrant prints. I am an avid fan of mixing patterns, but ensuring everything is cohesive. I've currently got all of the main furniture pieces in my apartment, but now come the accessories. When it comes to home accessories, I find many pieces online. Why? Because it's so much easier than scouring the shelves at stores and lugging massive shopping bags (sometimes full of breakable items) home. I have purchased many of my home pieces from the web. Speaking of, I want to introduce y'all to a fantastic business that I have followed for awhile now. 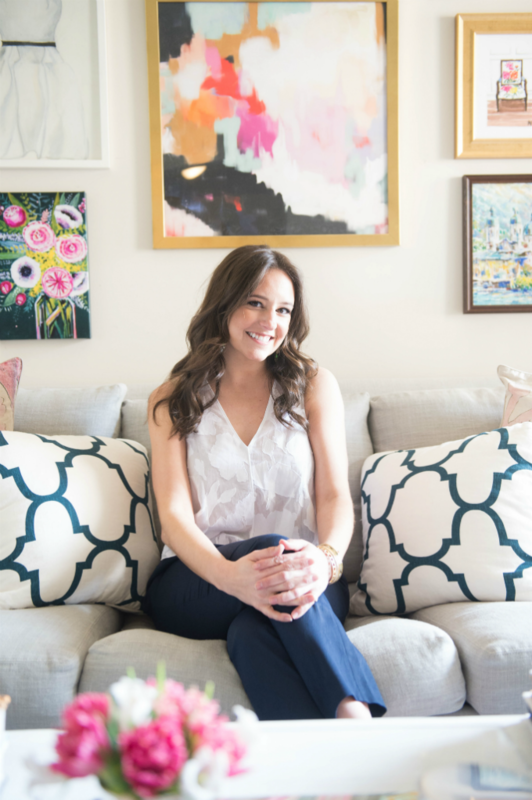 Heloise started Mintwood Home to help young professionals like you and I. Her goal was to "simplify the process and make great design more accessible." 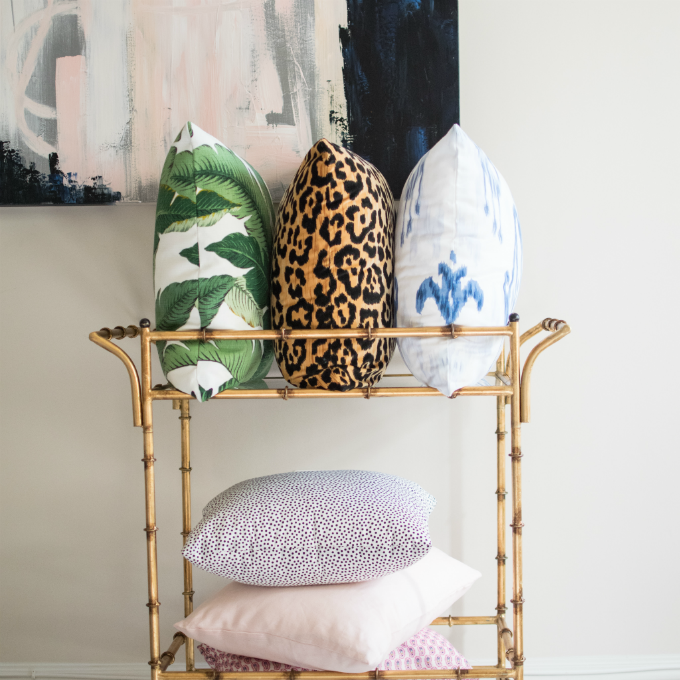 Heloise lives by the motto that "decorating should be fun, affordable, and reflect your personal sense of style." 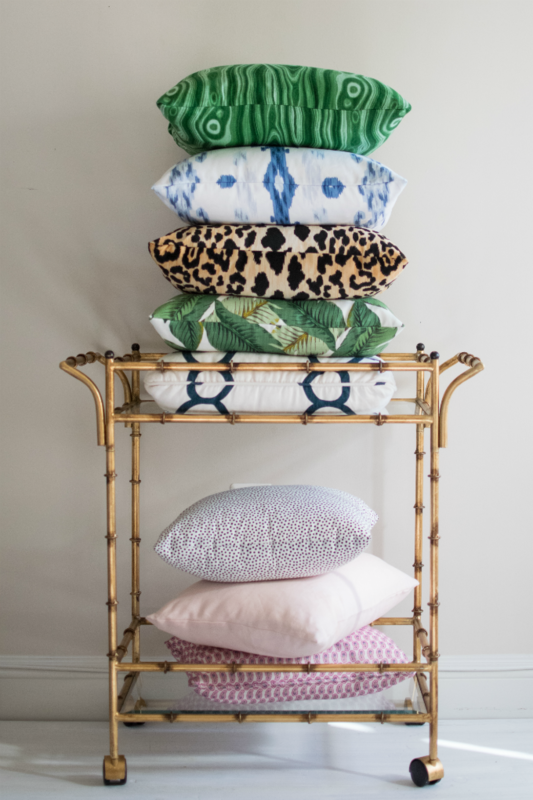 All things I want from my own decorating adventure. Heloise was so kind to help me get my apartment accessorizing off to a great start, and sent over some beautiful gold accent pieces. To me, a home should feel both inviting and welcoming. Maybe that's the Southerner in me. So it was all too fitting that I incorporate pineapple accents. 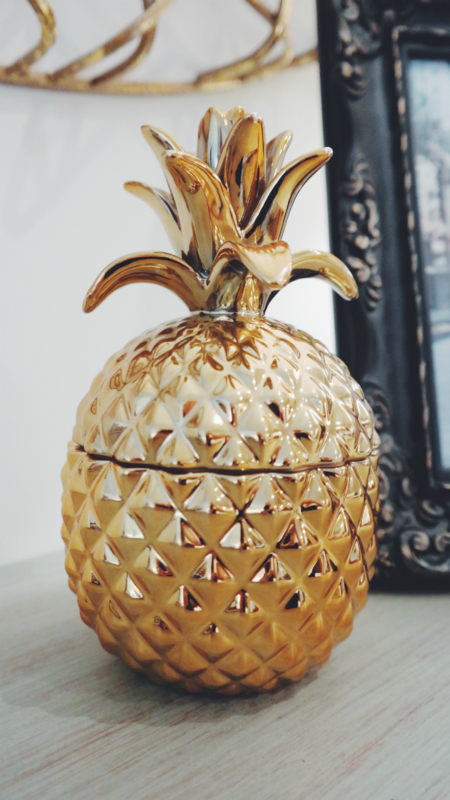 Pineapples are one of the most well-known Southern icons and are a symbol for welcoming, friendly and hospitality. All things a Southern woman and household should possess. 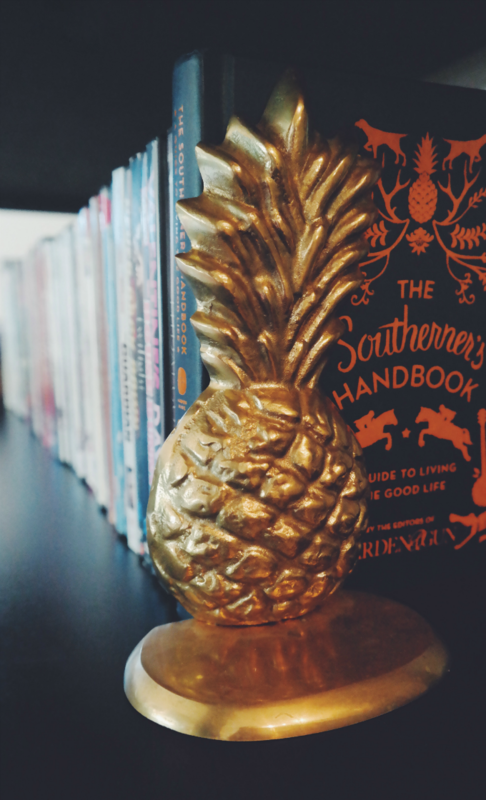 I took the pineapple bookends and added them under my TV stand, to help prop up DVDs and books. Making sure I highlight the Southerner's Handbook of course, ha! 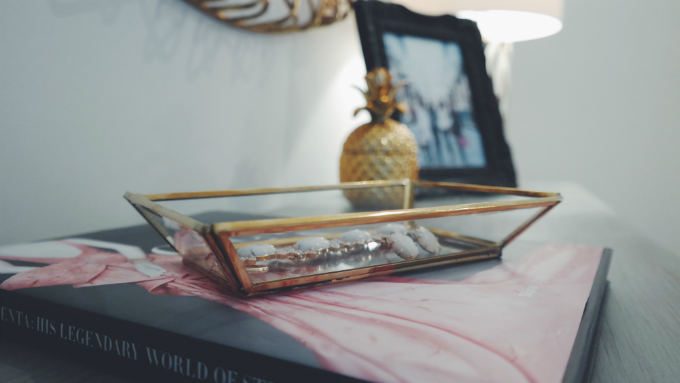 I then added the small glass jewelry tray and pineapple jar to my credenza. 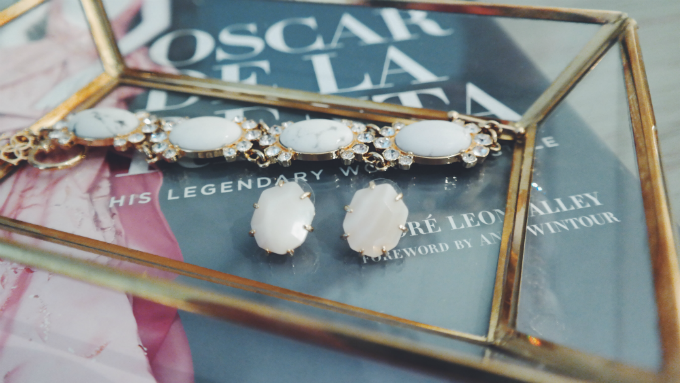 When I get home, I tend to fling my jewelry on the counter. No bueno. Instead, I now have a gorgeous tray and jar to hold all of my jewels. Just click on the photo to shop that particular item! So whether you're looking to redecorate, finally purchase decor for your new place like me, or simply add onto your existing decor, you definitely should checkout Mintwood Home. I can't wait to add a few of their colorful pillows to my couch. Once I finish my gallery wall, that's the next area of my apartment I'm tackling. Thank you to Mintwood Home for sponsoring this post. Items were given as compensation. Opinions are my own. Thank you for supporting the brands that help Primp and Proper grow! Doesn't she?! I love everything on her site! Thanks so much Monica!! Your apartment looks AMAZING! I'll be moving out into my own apartment at some point this year and my creative decor juices are already pumping through my veins. I've never heard of Mintwood Home but I'm so excited to check them out! Oh wow, I seriously LOVE this company! Everything is so cute and exactly my style. Thanks so much for sharing! Wow, what inspiring photos! 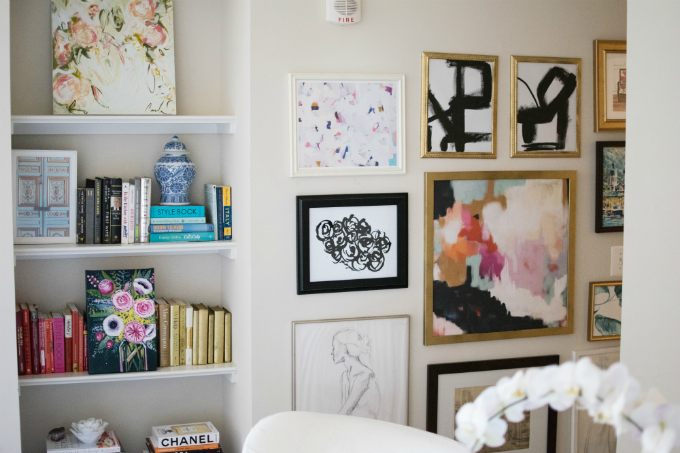 Love the decor and the time you put in for putting together this post. Very cute pillow cases you have too! Haha! :) Enjoy your weekend! How fun! I love the accent pieces and all of the wall art! Sprucing up a new space is the best! Such adorable home decor! I love the pineapple book ends and the color coordinating books! Thanks Sarah!! So glad you enjoyed the post and glad to hear we have similar taste!! Hope you find something you like! Thank you!! Hope you had a great weekend as well! It so is! Can't wait to share more. Thanks so much Rachel! !